Written by Giulio Tenti on 26 March 2019 . Written by Giulio Tenti on 16 April 2019 . 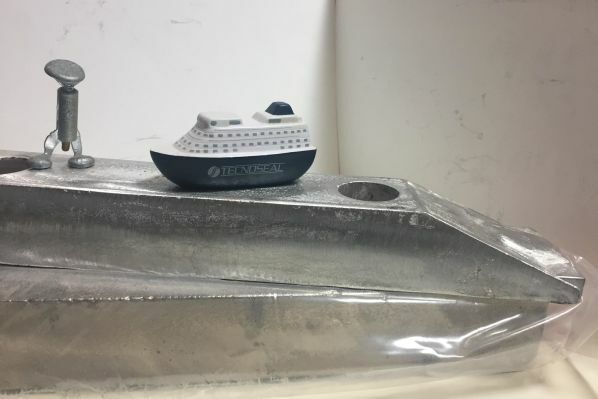 After the digression of recent weeks, dedicated to some of the sacrificial anodes of Tecnoseal that most of all embody the concept of innovation, let's return, with today's Anode of the Week, to take care of products dedicated to protecting hull and transom. Concluded the chapter on the plates, we then move towards the bars going to take care of the Fast Boats Bars. Before starting, however, I remind you that if you look for a list of all the articles released up to now, you can find it in this convenient index. Of the Bars we had already spoken, both of the classic variant and the UK Type One. Also part of this group, as we shall see, are the Plates with Hydrodynamic Profile. But what is meant by the term fast boats? Traditionally, this category includes most of the boats used by many law enforcement agencies such as, for example, those of the Bigliani series of the Italian Guardia di Finanza. However, today we hear about the performance of the boat as a fundamental characteristic at the time of purchase. The term "fast boats" should therefore not be understood as exclusive to boats that go quickly, but as a term extended to all those boats with metal hulls that want to have adequate cathodic protection, but without sacrificing their performance too much. A description that includes many displacement hull yachts. 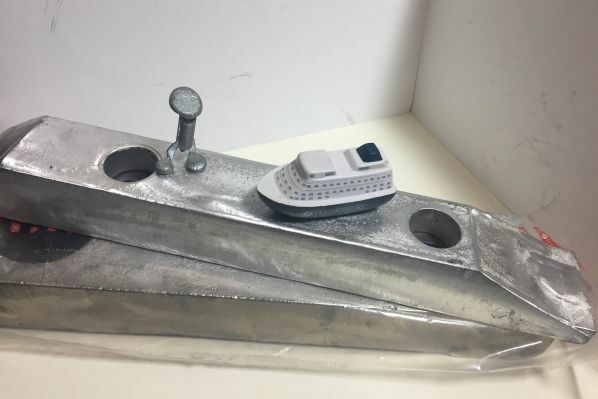 The fast boats bars therefore usually have a thinner and elongated shape (type 00671) than the other sacrificial anode for hulls or have a flattened end (type 00230). The objective is obviously to have a minor hydrodynamic impact on the boat's hull, while maintaining its own protection capabilities. Obviously these plates must be mounted in points of the hull in which can actually provide an advantage to its hydrodynamic profile. Flushing the transom with these products will be quite useless and They will go, above all, positioned on the front or in any case on those appendages which, sticking out, can influence the hydrodynamics of the boat, such as the P Brackets that support the propeller shaft. The Fast Boats Bars are a traditional solution to a problem that has been affecting the marine industry for almost always. The need to balance protection and performance. If, however, this is certainly the most classic solution, those who have been following us for longer and are more experienced in the sector will have already realized that, with the development of technologies and experimentation, other solutions have also been found. One of the most used is to recess one's anodes. However, this one presents many pros and cons and we will discuss them better on Friday in a special dedicated article of the Tecnoseal Answers series. 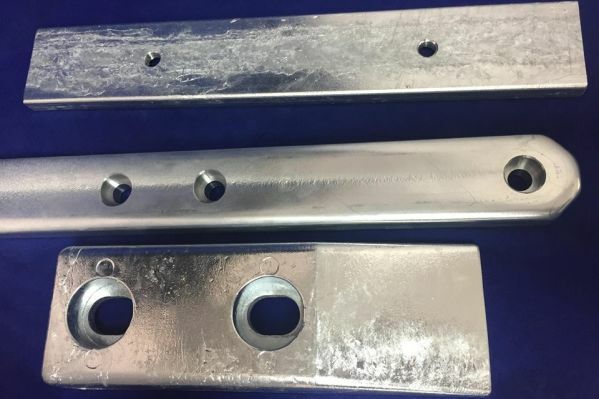 Always starting from the classic fast boats bars, Tecnoseal has developed one of its most innovative sacrificial anodes. Exactly, we're talking about the Plates with Hydrodynamic Profile. On Friday we will also talk about them, of course. However, the boating market remains very traditional and little pushed towards the new, which is why a respectable catalog of sacrificial anodes, cannot fail to also present a good assortment of fast boats bars of excellent quality. Obviously in this group there are anodes with very different shapes and sizes that are always very thin (at least in part and in relation to the hull) and elongated. Most of these plates are present in zinc and magnesium alloys, but the aluminum alloy is slowly coming forward here too. Some of these plates can also be made with an internal steel insert. For more specific details you can refer to pages 74, 75 and 76 of our catalog. Did You like what you read? Sign up for FREE to our Newsletter to stay updated on the latest articles published. It is not enough for you? Do you have a doubt you've been looking for a long time? Contact us and we will reply, FREE, as soon as possible! YOU JUST NEED ONE CLICK ON THE FORM BELOW! DO NOT WASTE THIS OPPORTUNITY! Written by Giulio Tenti on 19 April 2019 . Written by Giulio Tenti on 14 May 2018 . The subject of resistance to motion is a very extensive and interesting subject and deserves a series of in-depth analyzes. To begin, let's start with the definition and the historicity of the term. Written by Giulio Tenti on 15 May 2018 . We close today the speech started two weeks ago on the fluid resistance going to talk about the boundary layer.